A Game of Epic Exploration and Conquest – in an Ultimate edition! 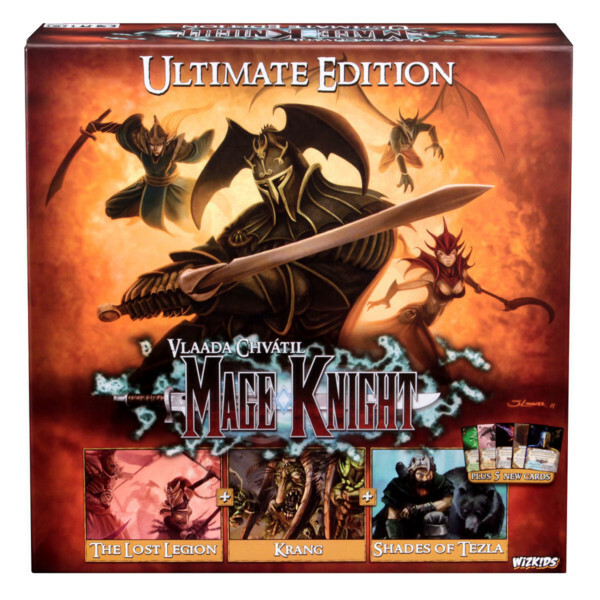 Designed by one of world’s leading game designers, Vlaada Chvátil, WizKids is pleased to announce the Mage Knight Board Game: Ultimate Edition is arriving this fall! Current or new fans can find all of the released content plus a few new and exciting components all in one place! 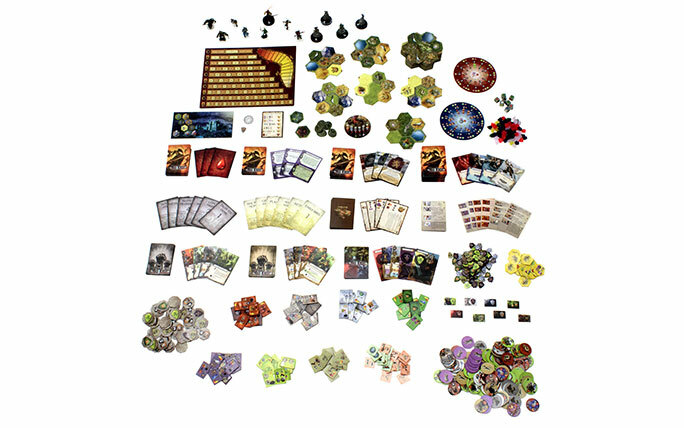 The critically acclaimed, award winning Mage Knight board game combines elements of RPGs, deckbuilding, and traditional board games while capturing the rich history of the Mage Knight universe. Now, after wowing solo game players and groups of up to 5, this Ultimate Edition brings it all together in a self-contained gaming experience. The Ultimate Edition includes the original base game plus all three expansions: The Lost Legion, Krang, and Shades of Tezla. It features comprehensive integrated rules text, 5 all-new cards, alternate paint jobs, and a great price that can’t be beat! This is the Ultimate Edition fans have waited for! April 15, 2019 in General.